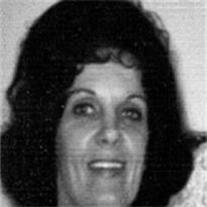 Muriel Joan Wright, 82, of Gilbert, AZ passed away April 7, 2013. Visitation is Thursday, April 11, 2013 from 6-8 PM at Bunker’s University Chapel, 3529 E. University Dr., Mesa, AZ. Funeral services are Friday, April 12, 2013 at 10 AM, preceded by a visitation at 9 AM at the LDS Lindsay Ward, 1150 N. Lindsay Rd., Gilbert, AZ.